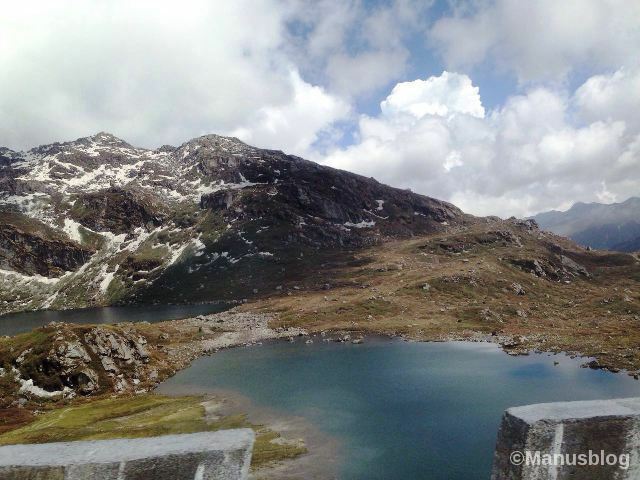 Nathula Pass, Baba Mandir and Tsomgo lake !!! As I sat near the window, gazing high in the sky where there is no sign of noise not even the chirping of birds, I can hear only my heart beat. The Serrated mountains stood in the distance as ready to kiss the heaven, dove white in color. The air was chilling and numbing and as we made our way towards them, a shiver ran down through my spine. I want time to stop, want my eyes to frame the moment I just saw. 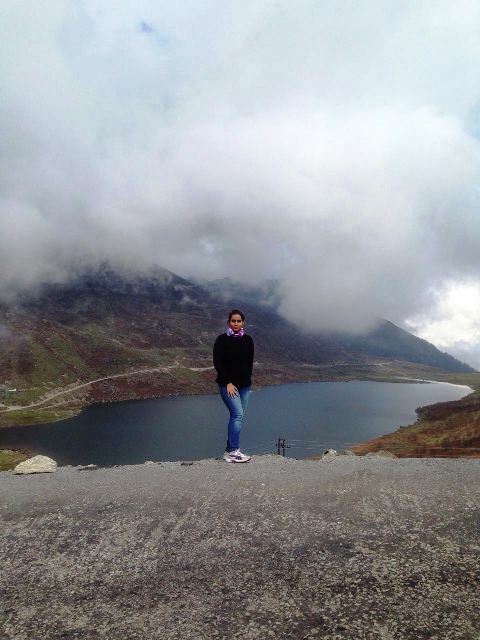 The beauty of this place is difficult to describe in words but I must say a trip to Sikkim is incomplete without visiting Nathula Pass (India – China Border), Tsomgo Lake (also called Changu Lake) and Shri Harbhajan Singh Baba Temple. 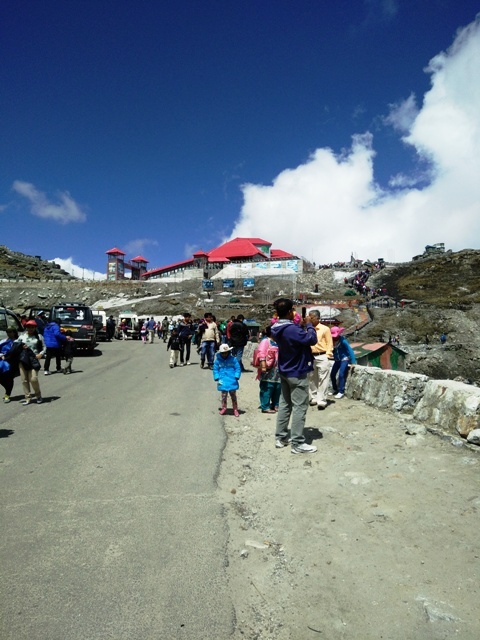 At a height of 4,310 m (14,140 ft) lies a mountain summit which stood smart to guard our eastern Himalayan border is Nathula Pass. In Tibetan, Nathu means “Listening ears” and La means ” Pass”. 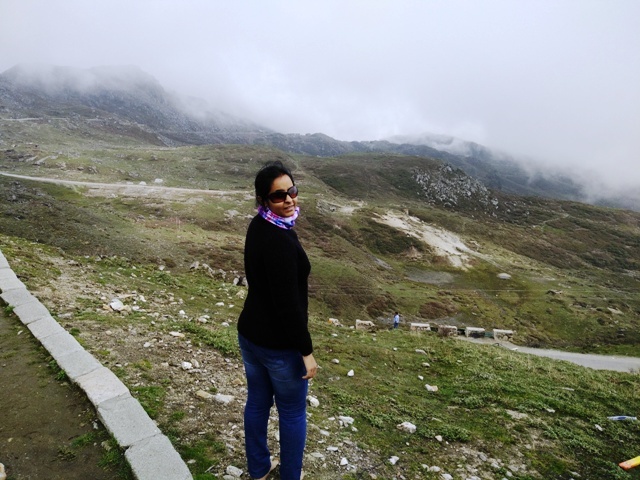 This is an ancient Silk route which has historic importance.Situated at a distance of 53 Km from capital Gangtok,this place is open only for Indian Nationals. You have to apply for a permit a day before which any registered travel operators can arrange after charging 200 Rs / Person. You need to submit Photo Id proof and passport size photographs. For a particular day only some number of vehicles are allowed, so you have to arrange for it in advance. 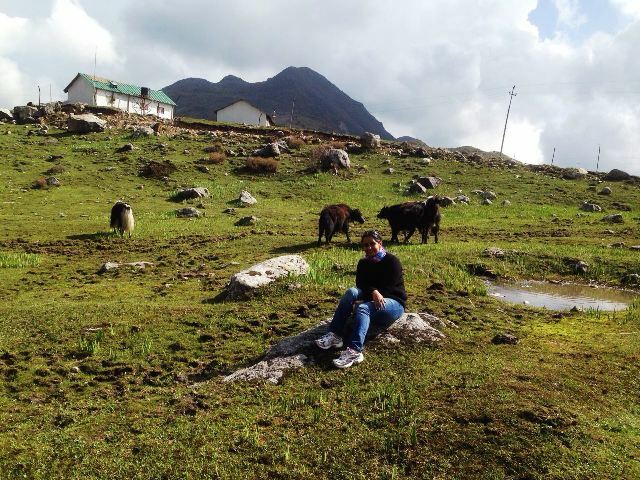 On our third day, we booked a vehicle from Lama tour and Travels at 4500/- which agreed to take us from Gangtok to above mentioned places and back. The ride was very bumpy, vehicles took turns to pass other vehicles coming from opposite direction as roads were very narrow and small and in many places BRO was constructing the roads. It took almost 3 hours for us to cover a distance of 53 Km. The surroundings on the way were so mind blowing and full of picturesque landscapes that I didn’t want to refrain myself from missing any scene, and believe me taking a nap was out of a question. 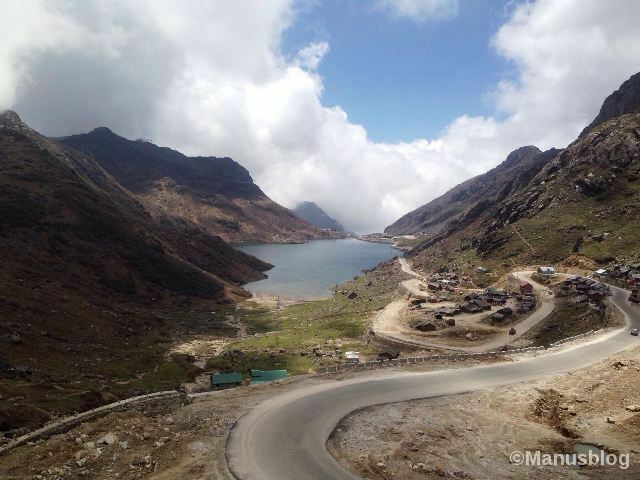 On the way towards Nathula, lay a lake which is as silver as morning dew drops. 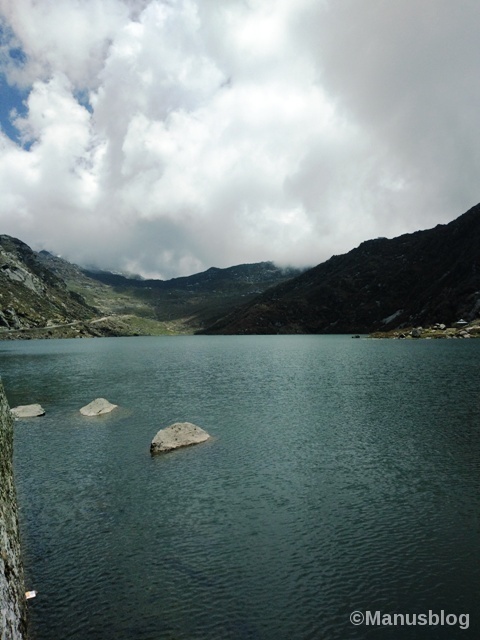 It is also called Changu lake by the locals. 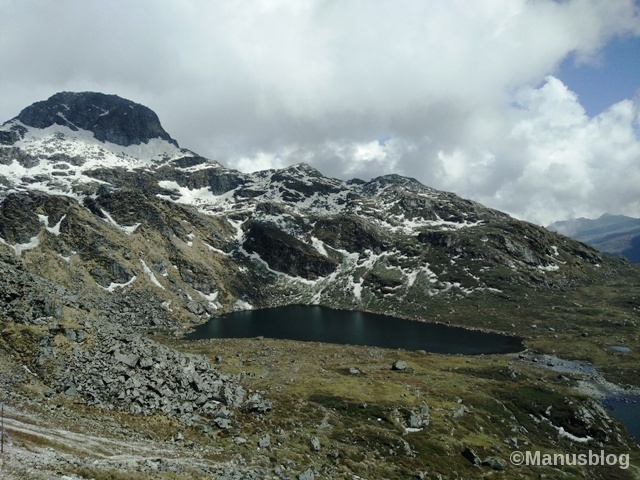 Situated at an altitude of 12000 ft this lake remains frozen during winters. I had a Zap moment because it was so beautiful and the atmosphere was convent quiet. The sun rays were adding a golden tint to the face of the lake and it was like paradise. We had stopped here for some time to take the fun filled yak ride. 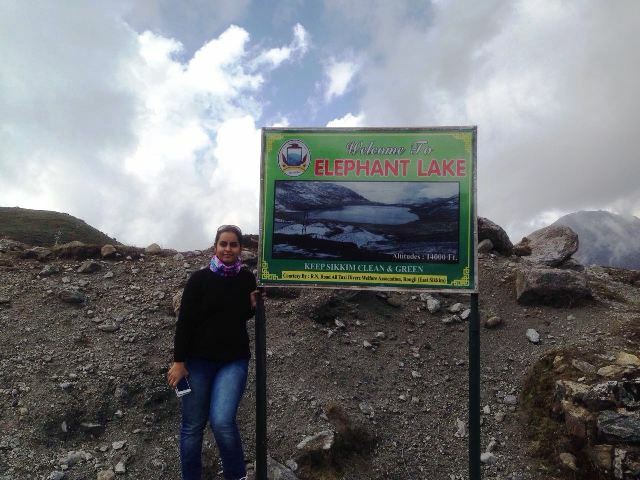 As we reached Nathula, I started having a severe headache which is called altitude sickness. I start taking small steps and frequently sat in between to calm myself. 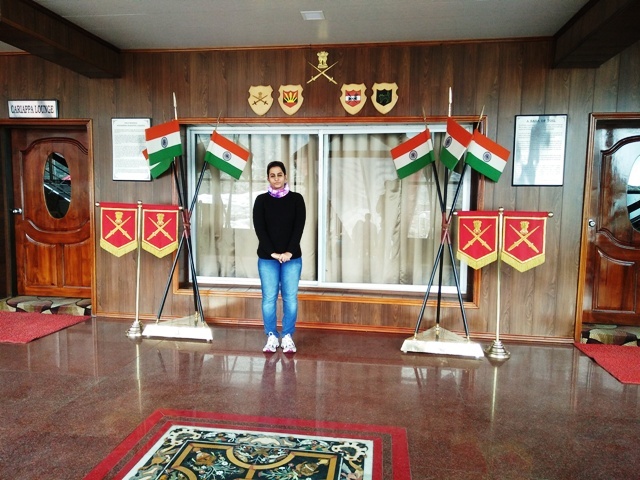 I literally bowed to our Indian Army who has their post in such a difficult terrain. I felt deep gratitude towards them as no matter what, they protect us and our borders in such difficult climatic conditions to keep us all safe. There is courage, discipline, loyalty, honor and strength in a soldier that makes him stands apart. 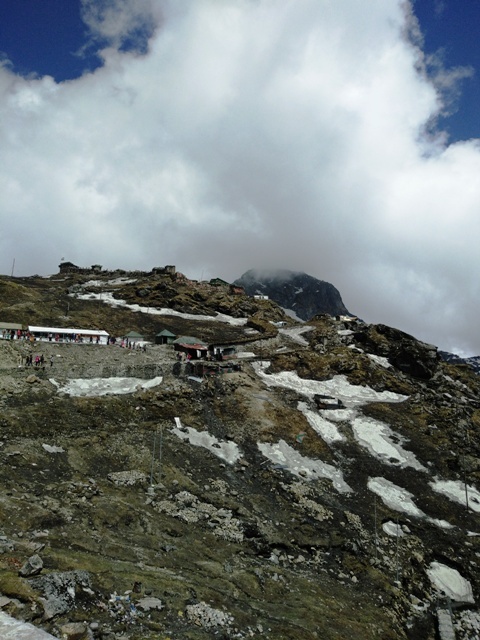 As we walked around for some time, clouds were everywhere and it was started windy so we decided to decent downhill to our next destination as the weather is very unpredictable in hilly areas. India is a place, where anything can happen. The only thing which you have to have is believing. Till now I only heard about this place, so was very keen to visit. 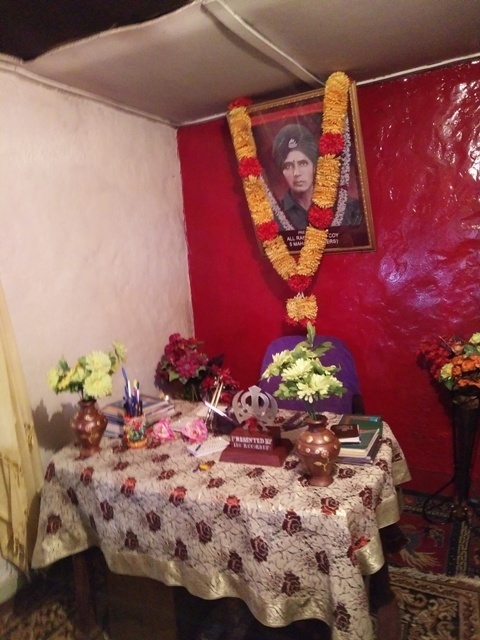 This place is not exactly a temple but a shrine built in the memory of a deceased Indian soldier who died in 1968. 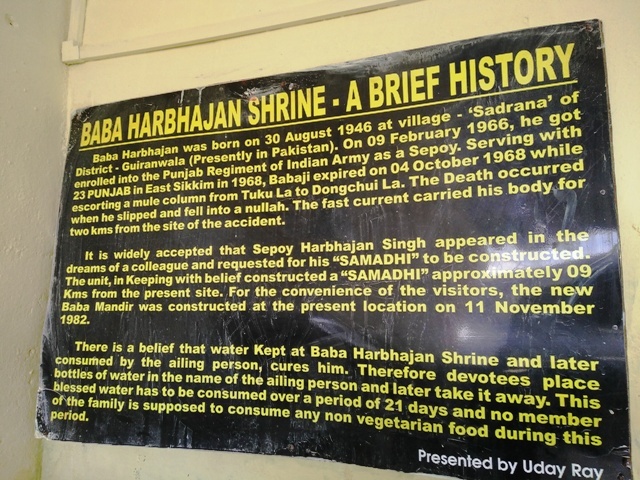 According to popular legends, it is believed that it was Harbhajan Singh himself who helped the search party find his body through a dream, he instructed one of his colleagues to build and maintain this shrine. 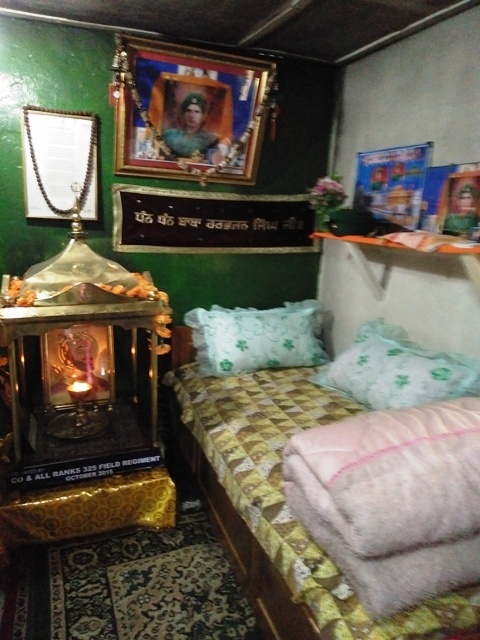 Also, some believe that in the event of war between India and China or in any impending attack, Baba would warn indian army at least 3 days in advance.Every year he has sent on leave, got his promotions, his room and bed are still duly maintained till now. Isn’t interesting. 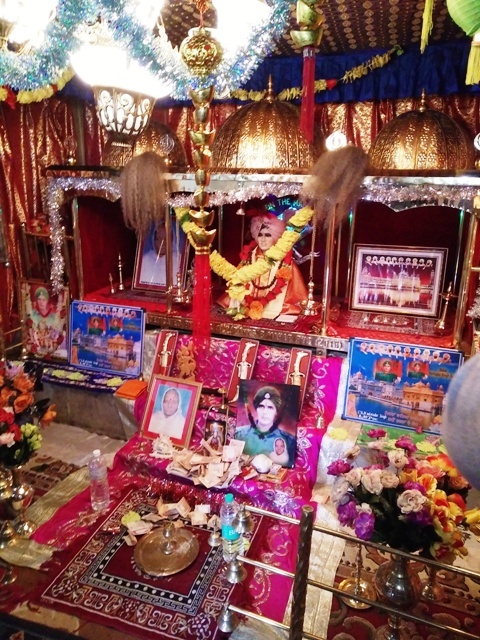 Now the Indian army has constructed a new baba mandir which is quite near to Nathula pass for the ease of tourists but the actual and old Temple is situated further 10 km ahead. Travel agents will only provide the permit till new baba mandir but the drivers can take you to the actual site after charging extra money. We visited both old and new temple. So that was how we called the day off and came back with beautiful memories and scenic views holding in hour heart forever. You are most welcome hanuja. The place is awesome. Hope you guys have a grt time thr.